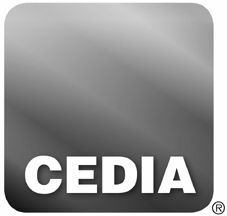 CEDIA has made an addition to the training lineup at CEDIA EXPO 2013 aimed to help home technology professionals understand the just released HDMI 2.0 Specification. The HDMI 2.0 Update course will be held on Thursday, September 26 12:00 p.m. – 1:00 p.m. Home technology professionals who attend this course will have the opportunity to get an exclusive update straight from Jeff Park, technology specification manager, HDMI Licensing, LLC. Park will provide the inside scoop on the specification, technology, and product/installation implications of this latest addition to the HDMI world. In addition, CEDIA Fellow Michael Heiss will moderate the session, taking questions from attendees via Twitter though the use of the hashtag #EXPOHDMIUpdate. CEDIA members who have taken advantage of the training pass can add this course at no additional cost. A la carte fees for this course are $49 for CEDIA members and $79 for non members.